Comme Des Garcons has released two new tennis sneakers as part of their Spring/Summer 2009 Collection. 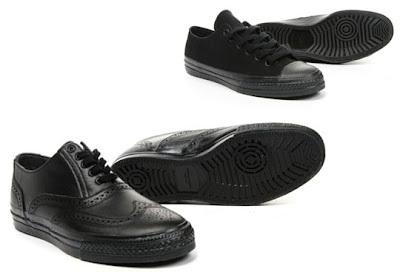 One of them comes in black leather, and features a wingtip pattern on the upper. The other one comes in canvas and is available in black and in white. These shoes are available exclusively at Colette.